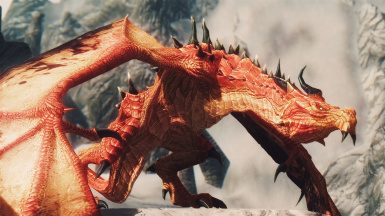 The successor to DDC2: stable, rebalanced, and with several new dragons and abilities. 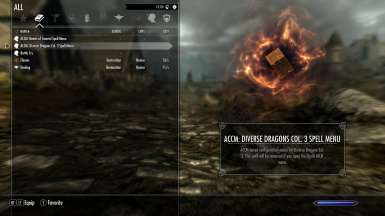 This mod contains assets created by a variety of users. You are welcome to use any resources created by me (opusGlass) if you give credit, but any resources that were created by another user will require permission from the original author(s). See the README for specific details on authorship. See Readme for specific authorship details. If user has SKSE, overfilled leveled lists will be detected and prevented. 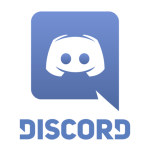 User will receive a warning message. Prevents the Crash At Save bug for SKSE users. Now automatically detects SKSE even if you didn't install SKSE until after you started using this mod. Config menu is complete -- no longer in Beta. Added spawn buttons, lore-friendly preset, and delevel switch to MCM menu. Still in testing. 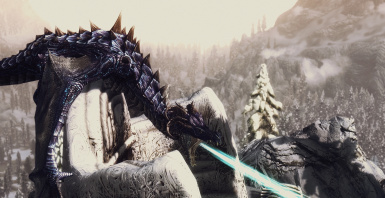 Uniting resources from 13 different mod authors, this is a dragon mod like none seen before. Now fully customizable. See only the dragons you want to see! 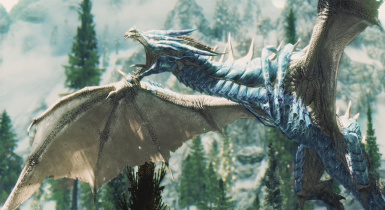 Now fully compatible with other creature mods! No bashed patch required. Dawnguard and Dragonborn required. SKSE, SkyUI, and FISS are optional but will improve your experience. If you use Deadly Dragons, download the optional patch (if you already have it, be sure to update the patch). 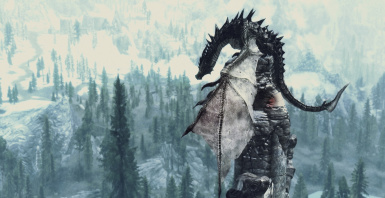 As of v4.1.0, patches are not needed to use this with other mods that add dragons. If you have a patch from an old version, delete it. If you already built a Bashed Patch with an old version of DDC3, rebuild it. Otherwise you don't need a bashed patch for this mod. If you used the Beta (v4.0.0 or v4.0.1): It is important to either delete the save file you used, or clean it if you know how. It is also important to delete the loose script files added by those versions. What's the difference from DDC2? Firstly, this mod is much, much more stable. The creatures are now added to your leveled list using my ACCM system, which means it is much faster, and it only happens when you install the mod or change your options. There are also several new dragons, and the balance has been improved for the existing dragons. You can also save your preferences if you have FISS. I don't like x dragon, can you remove it? Use the MCM menu if you have SkyUI, or the SpellMenu if you don't. You can disable any dragon. I'm getting a pop-up window warning me that my leveled list has more than 255 entries. (1) Make sure you aren't using old patches for this mod. 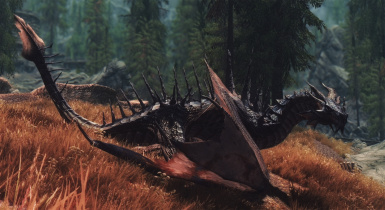 This mod needs NO PATCHES other than one for Deadly Dragons (and you must update that one). That includes Bashed Patch etc (rebuilding your bashed patch should solve the problem). 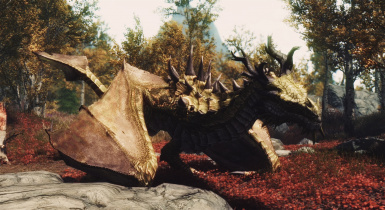 (2) You might just have too many dragons added by other mods. DDC3 adds a maximum of 196 to each leveled list, but it will be less if some dragons are disabled (Lava and Eldergleam are disabled by default so it actually starts at 182). 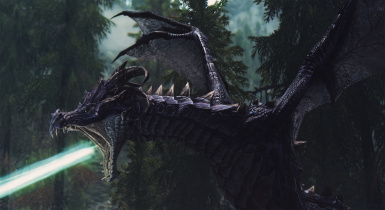 You can check LCharDragonAny and DLC2LCharDragonAny in xEdit to see what dragons are added by your mods -- if the farthest-right value of LLCT (with all your mods and patches loaded) is 59 or less, you are in the clear. 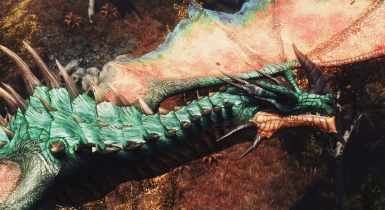 If it's higher you have to make sure enough DDC dragons are disabled in the menu (each one adds 7 entries), or remove some dragons from other mods. I'm getting a CTD whenever I try to save the game. You have overfilled leveled lists, and you don't have SKSE to detect and prevent the overfill. See the previous question for how to fix. I don't want a spell menu, can I get rid of it? It will be automatically removed the first time you open the MCM. Is this compatible with x? 1) This mod should not cause conflicts with anything except DDC2. 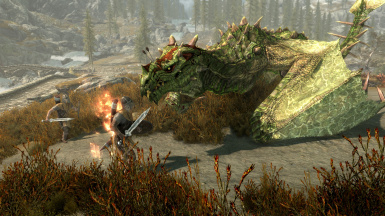 2) There may be inconsistencies with some dragon difficulty mods though. 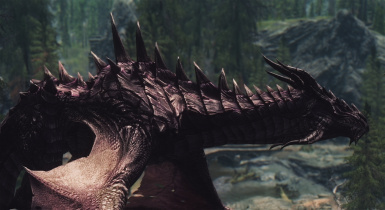 Use the new patch for Deadly Dragons. 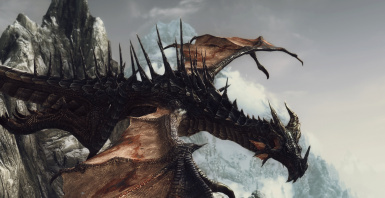 No patch is needed for Dragon Combat Overhaul or Simply Stronger Dragons. 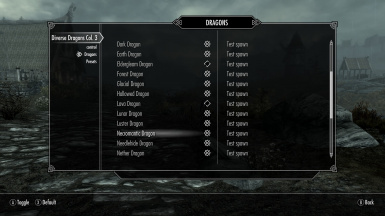 Other dragon difficulty mods you will need to patch yourself (see the next question). 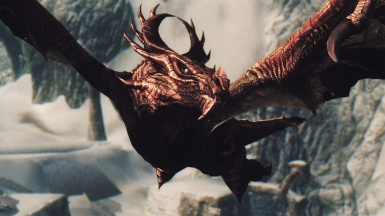 3) If you use The Dragon Engine, you will not see the extra variation on DDC's dragons, but you will still see it on vanilla dragons when you encounter them. 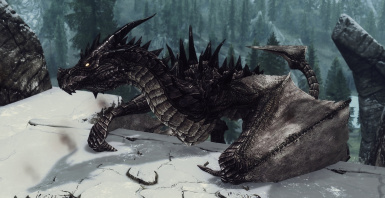 Will your dragons be effected by the changes to dragons in mod x? 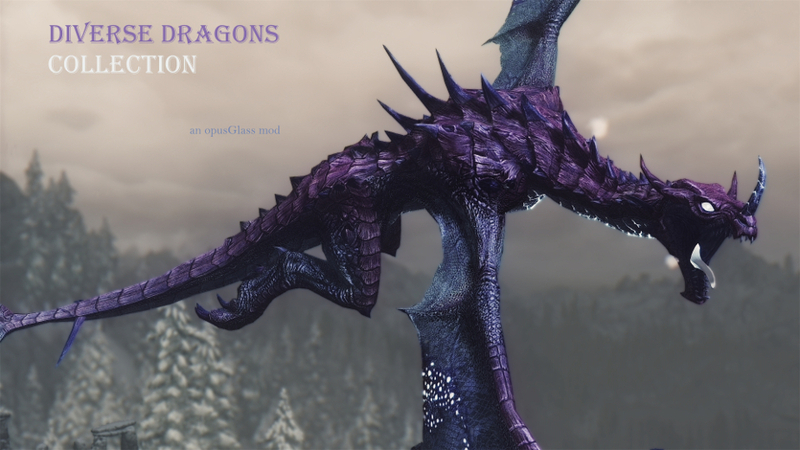 All of my dragons will inherit: -Stat changes to the base vanilla dragons -Abilities added into the dragon's crDragonUnarmedDamage abilities (even if they aren't related to unarmed damage) -AI changes -Faction changes -Script changes (if the author is able to get the script changes onto LeveledActor dragons in the first place) -Animations. 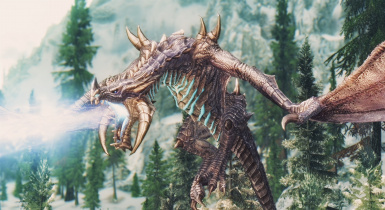 Some of my dragons will inherit -Changes to AbDragonFire and AbDragonFrost -Changes to fire breath and frost breath. My dragons will probably not inherit new attacks or abilities unless they are added via one of the above methods. The dragons are too weak. 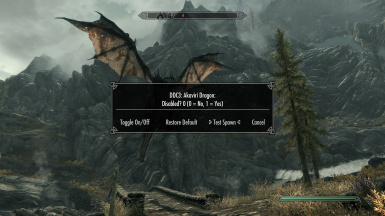 1) Use a dragon difficulty mod (see previous two questions for info on which ones are compatible). 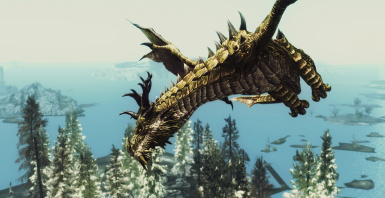 2) The dragons are balanced with vanilla dragons, but they have a greater variety of abilities. So please take into account your resistances and weaknesses as well as those of each dragon (see ability spreadsheet). 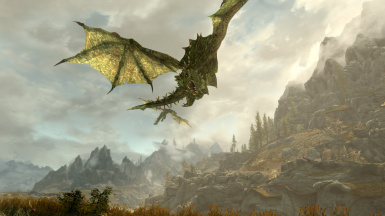 3) Note that Skyrim has level limits that vary based on Encounter Zones as well as auto-downscaling through the FLeveledActorMult settings, so you might be encountering dragons of the lowest level no matter what your player level is (see this mod for an explanation of both of these phenomena and also a possible solution). I haven't encountered any dragons. 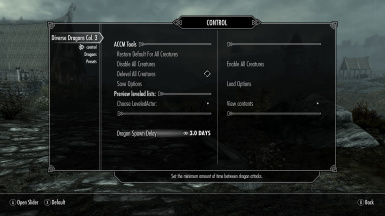 1) Try decreasing the dragon attack recharge time (bottom of Control tab in MCM). 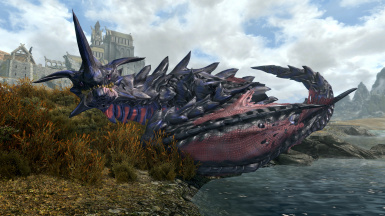 2) Dragons don't appear until you complete Dragon Rising. 3) A Blade in the Dark disables dragon attacks until completed. 4) This is a common vanilla bug not caused by my mod. I only see vanilla dragons. Certain situations will only spawn vanilla dragons. These include some quest-related spawns and some map locations. 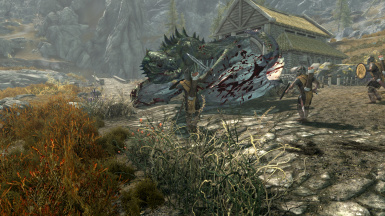 I killed a dragon and it didn't give me a soul. 1) Make sure you have the Unofficial Patch installed and active. 2) Was it spawned from the config menu or console? If so that isn't a bug. 3) If you have script overload, then I didn't cause that bug. 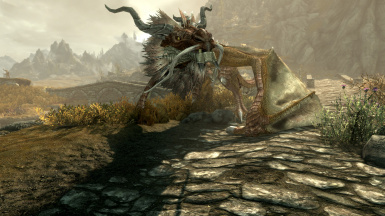 4) If a dragon respawns, it won't give you a second soul -- this is a bug introduced by Bethesda that I can't fix. 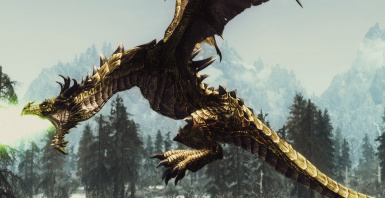 This can be especially tricky, since it might respawn as a different type of dragon and it may fly to a different location. 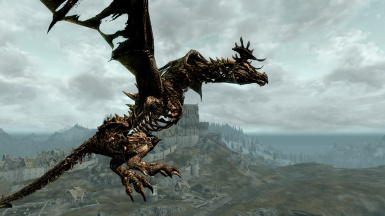 A dragon didn't burn up when it gave me its soul, it just disappeared and left a skeleton. 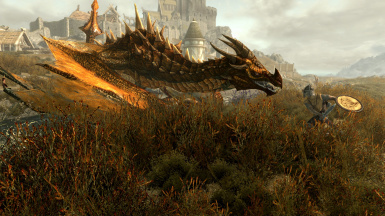 Most dragons will play the dissolve animation correctly. I actually had to add these animations myself because no other custom dragon meshes that I've ever seen can play the animation. 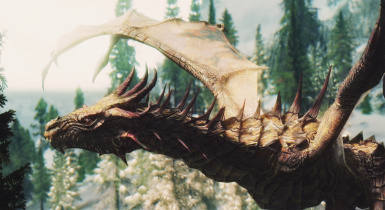 A handful of dragons have very unique meshes/textures that prevent me from fixing them, so they don't play the animation. Also, see previous question. I encountered a dragon before the first dragon quest. Caused by a different mod. Can I ride these dragons? I believe you can ride all of them but I haven't tested it thoroughly. 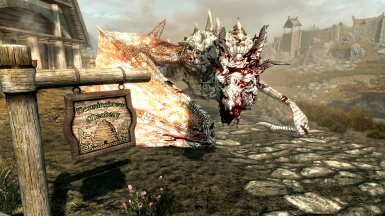 Will there be more dragons in the future? Possibly. Is it safe to uninstall this mod? Revert to an old save file and remove/disable the plugin. It's never safe to uninstall a mod without reverting to an old save, but if you absolutely insist, use the Disable All button in the config menu, move to an interior, then use the console to clear cached cells and reset all cells. Do you have permission to use <some mod author>'s assets? Yes. Can I use your assets? Many of these assets belong to other authors. You are welcome to use assets created by me, as long as you give me credit. However, if you use assets that were partly or entirely made by another author, you MUST have that other author's permission prior to use. Detailed authorship info is included in the Readme.